Join Lawrence Academy of Music string faculty as you explore the repertoire, techniques, and theoretical aspects of chamber music. What is chamber music? Watch the video below for an example! At camp, each string player is placed into a chamber ensemble and all camp participants comprise a chamber string orchestra. 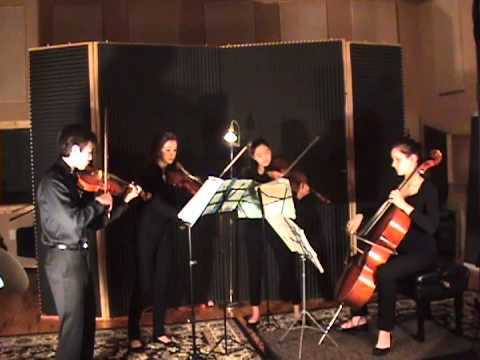 Chamber ensembles are formed based upon age, experience and instrumentation to ensure skill-level compatibility. You will receive your chamber ensemble piece roughly three weeks before the camp and will be coached with your ensemble every day. Summer Chamber Music takes place Monday-Friday from 12:30 to 4:30 p.m. in the Lawrence University Conservatory of Music. Each afternoon includes chamber orchestra, ensemble coaching, hands-on theory, and a movement and rhythm class. The week culminates in a Friday afternoon performance of all chamber ensembles and the chamber orchestra on the Lawrence Memorial Chapel stage. This performance is free and open to the public. Dates: July 8-12; Monday - Friday, 12:30 - 4:30 p.m.
*There is a $20 Early Registration Discount for those who register by March 30. Registration for this year's Summer Chamber Music camp is now open. Click the button below to register. Please fill out our interest form if you would like to receive information about next year's Summer Chamber Music.